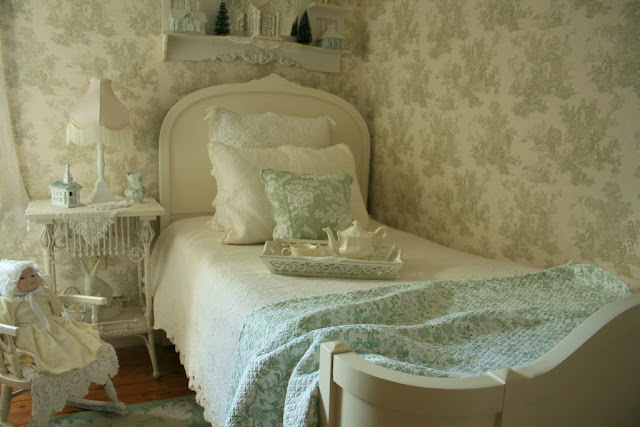 This is a small guest room in our home that some of you have seen before but we are getting a bit of sunshine so I thought I would try to get a few pictures in a better light to share today. 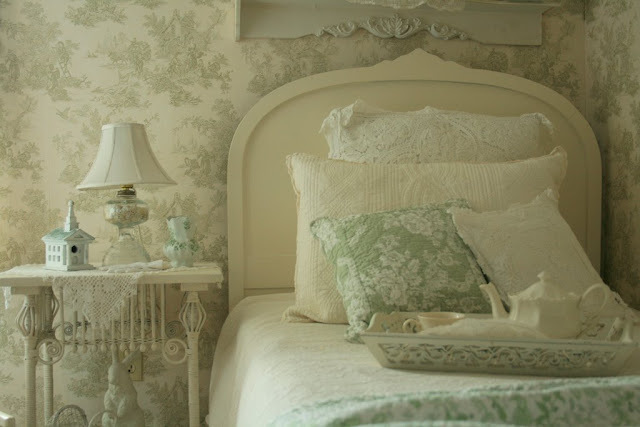 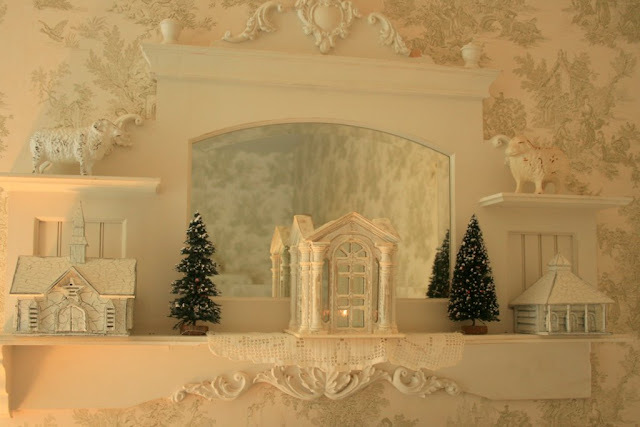 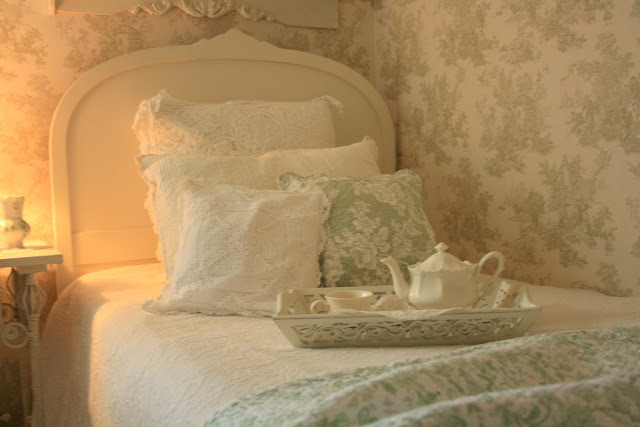 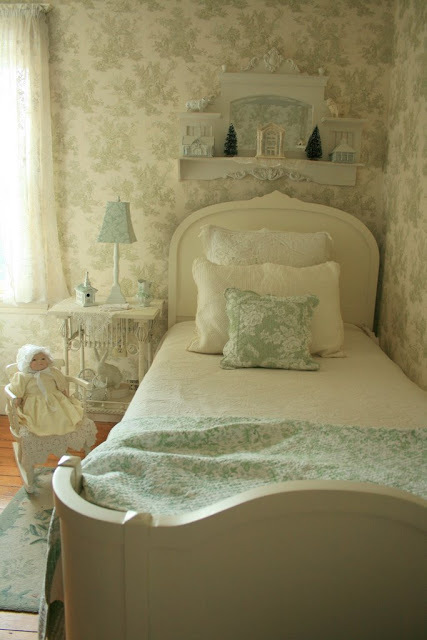 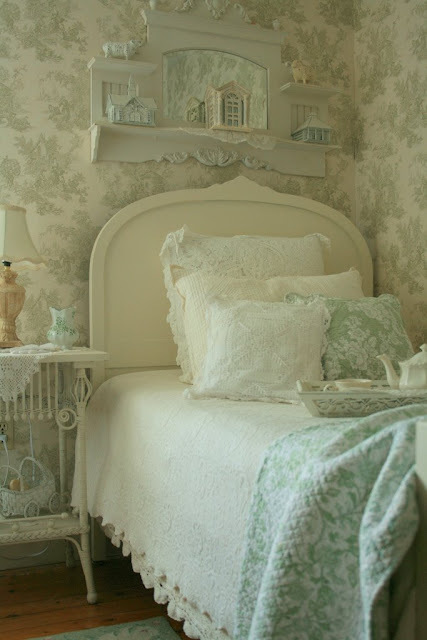 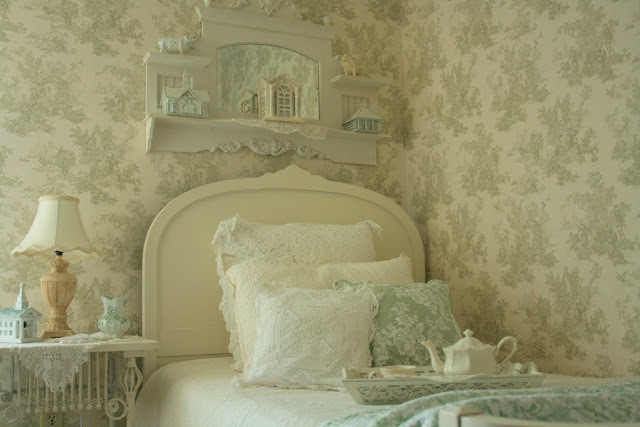 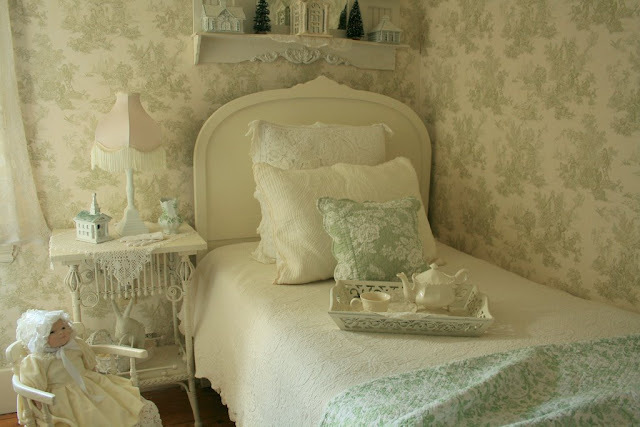 You have probably noticed that I love toile and have several different colors of it in our home. 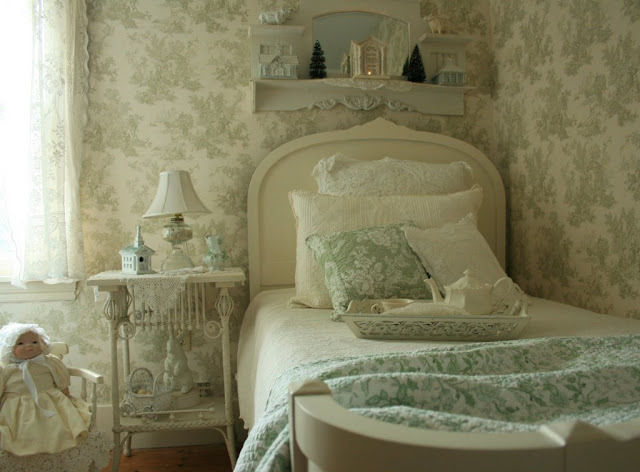 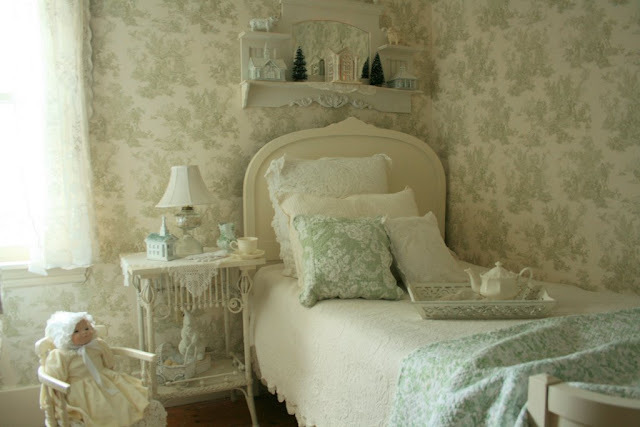 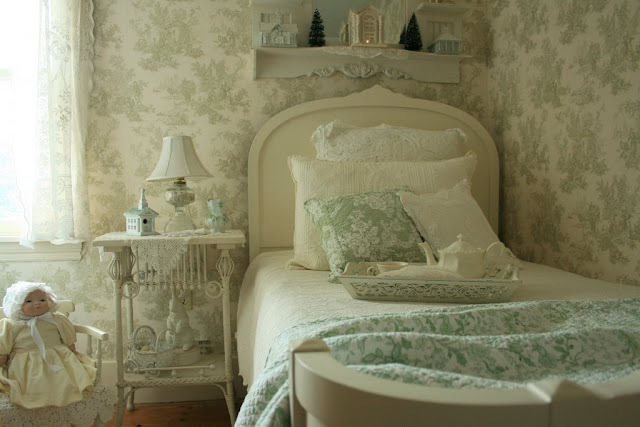 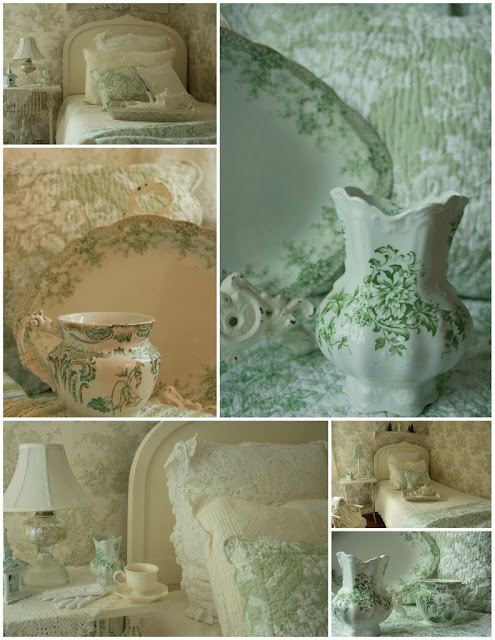 I love toile fabric,wallpaper and china. 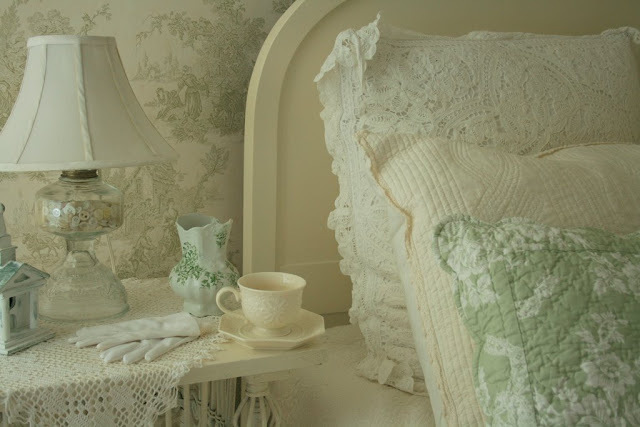 We did get a dusting of snow last night-our first this winter( well almost winter). 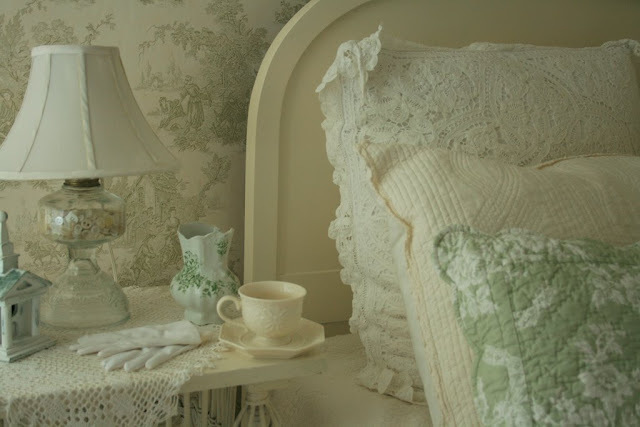 Last night I went to the movie Blind Side with a couple of my daughter's and we all really enjoyed it .It is based on a true story and has a good message-if you haven't seen it yet I think you would enjoy it.